If we want to learn something about history, we usually read texts or look at photos. Rarely there is the possibility to view something in three dimensions. In The Hague we have such a unique opportunity, thanks to the model of the Jewish Neighbourhood which can be admired in the Atrium of the town hall on Spui. In the 17th century the first Jews came to The Hague. The emigrants from Germany and Eastern Europe often had little money and settled in a poor neighbourhood around the Nieuwe Kerk. Because they could not become members of most guilds, they usually had to work as merchants. 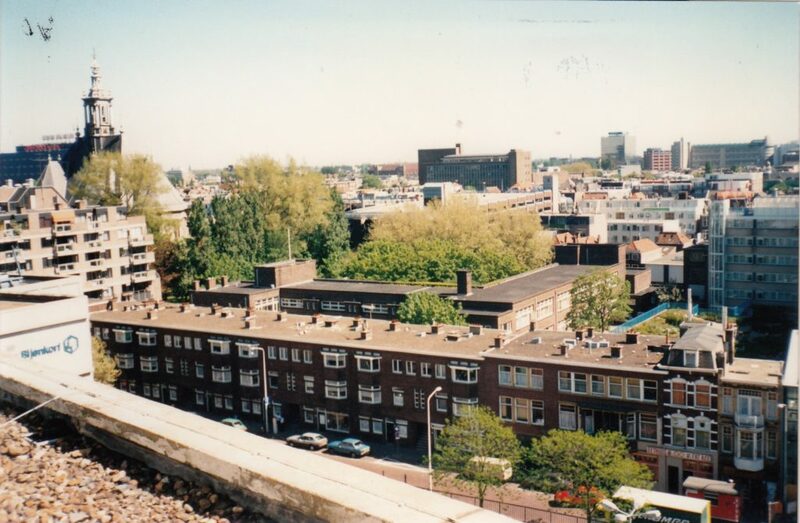 This part of The Hague was soon called ‘The Neighbourhood’ (‘De Buurt’ in Dutch). In the course of time synagogues were built, Jewish schools and community buildings. We owe the special model to artist Jacques de Leeuwe. He was born in Amsterdam in 1932 and in his working life he was a teacher of handicraft and art history. When he retired, his grandchildren gave him the book ‘The vanished neighbourhood’ written by I.B. van Creveld. This book describes the three centuries of ‘De Buurt’. As a Jewish child during the Second World War, Jacques de Leeuwe became acquainted with the Jewish neighbourhood: he was forced to go to the Jewish School in the Bezemstraat. He survived the war with his brother because he could go into hiding, but he lost his parents and family. The book seized him and evoked many emotions with him. It stimulated him to create a tangible memory of Jewish life in The Hague and a monument to the many Jewish inhabitants who were murdered in the war. 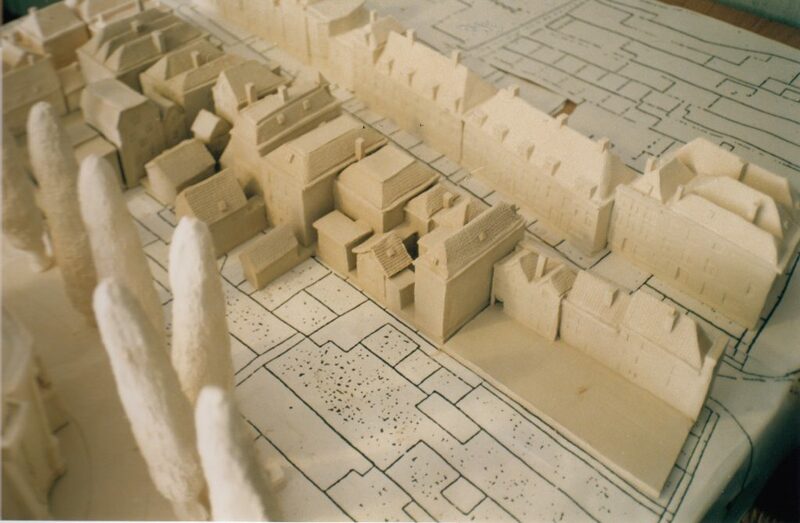 The form he chose: a model of ‘De Buurt’ as it looked in 1892. ‘De Buurt’ had obviously changed considerably since 1892, so De Leeuwe had to investigate how streets and houses looked like in those days. He found maps, photographs and other descriptions in various archives. He had the opportunity to take pictures from the roof of the Bijenkorf for a good view from above. He also posted an advertisement in the Posthoorn with an appeal to (former) residents of the neighbourhood for information. 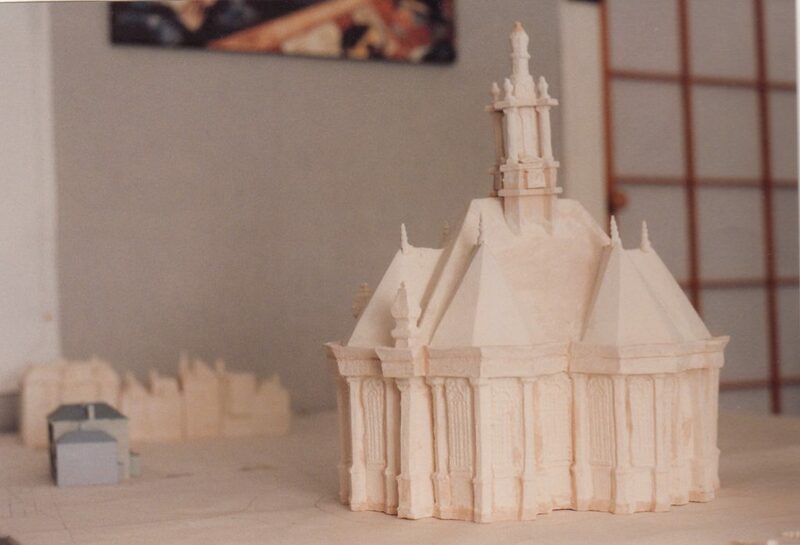 All this work provided the information necessary to make a design for the scale model. After all preparations, De Leeuwe could start with the construction. He ‘built’ all buildings in clay. From the smallest house to the largest part: the New Church. He baked these clay models at home in a potter’s oven. 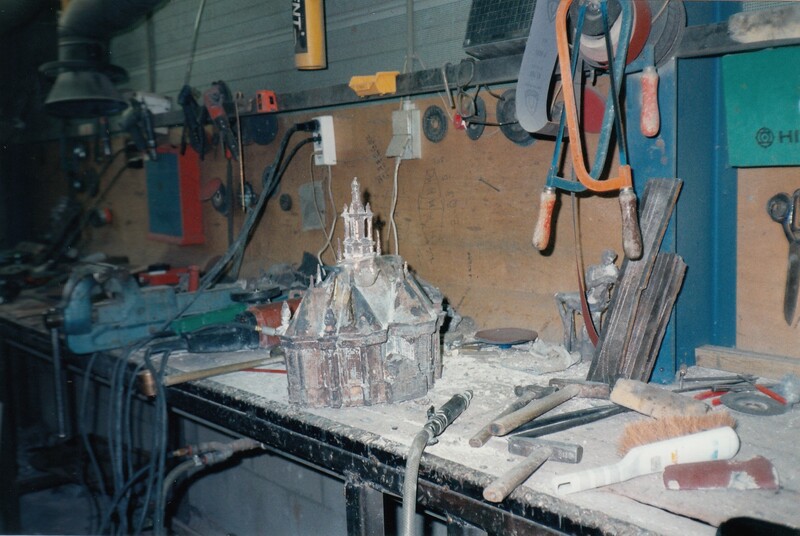 The next step was the casting of clay models in bronze at a bronze foundry in Geldermalsen. With every step in this process, De Leeuwe had to update the details of the buildings. The model stands on a pedestal covered with Jerusalem Stone. As the name states, it’s a type of stone that comes from Jerusalem. For this huge project, that lasted a total of seven years, money was of course also needed. A foundation was formed, the Foundation ‘Maquette Joodse Buurt’. The board went looking for funding and sponsors. This way De Leeuwe could concentrate on the creative work. The model found a place on the first floor of the new city hall of The Hague. The festive unveiling took place on June 26, 1996 with Mr. Creveld, the writer of the book, amongst the attendants. The Foundation donated the model to the Municipality of The Hague and the unveiling symbolized the transfer. After a number of years it turned out that the spot on the first floor was less suitable. 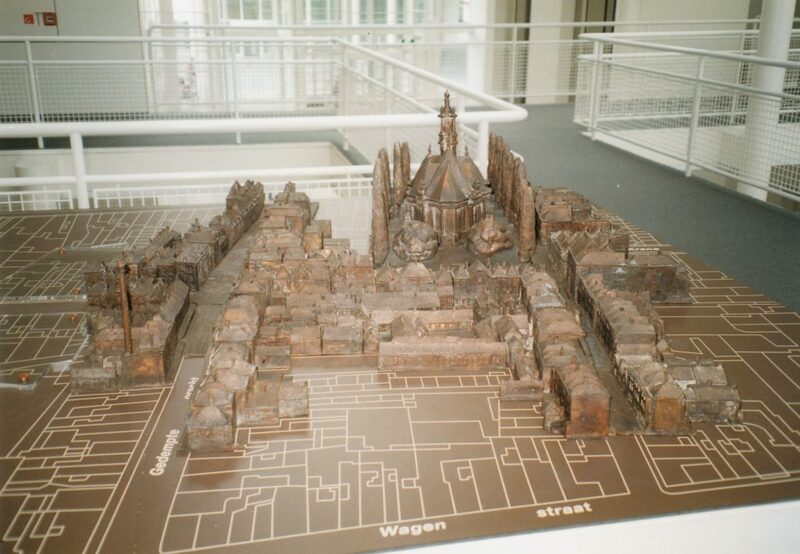 The model was out of sight of the public and the municipality needed the space for receptions. 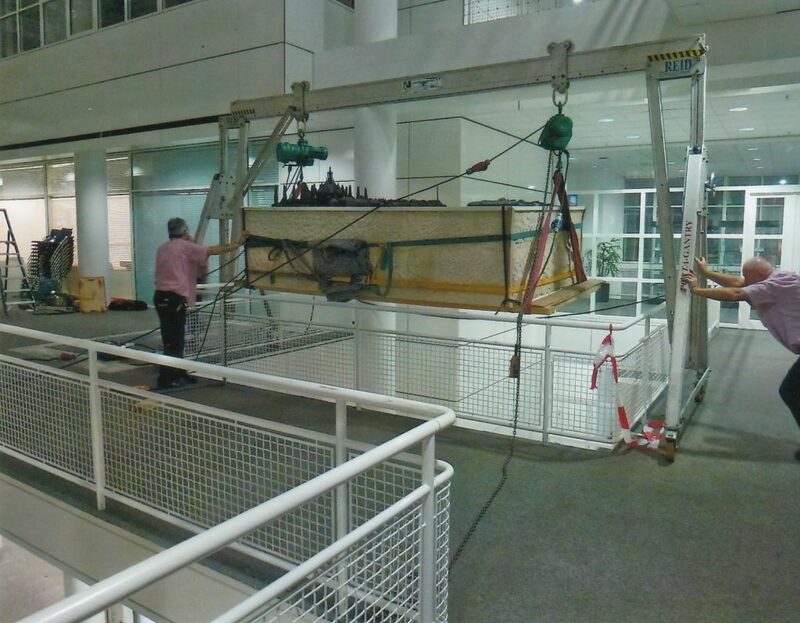 In 2013, the scale model was moved to the location where it still stands: in the Atrium of the City Hall, to the left of the main entrance, near the window. You can also view the model from the outside. 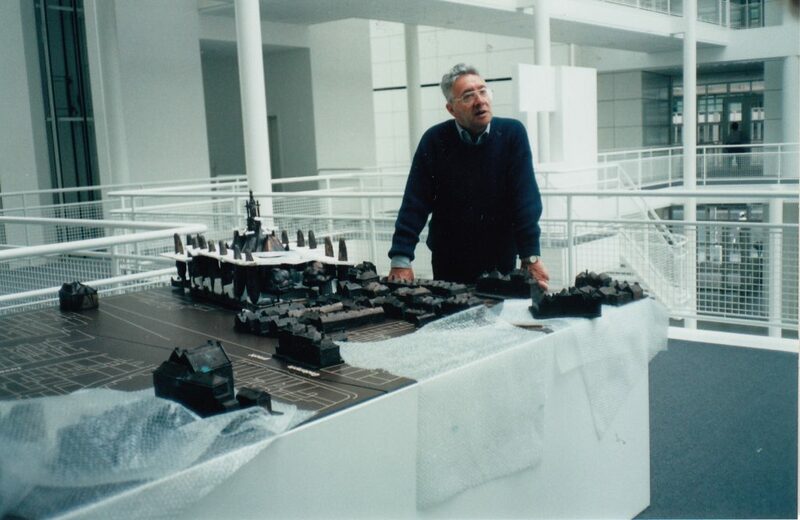 Unfortunately De Leeuwe has not witnessed that the model is now in full view, he died in 2009. The model of the Jewish neighbourhood gives us more than an opportunity to look back nostalgically at times past. The fact that this neighbourhood has changed so radically, is mainly due to the horrendous events of the Second World War. Before the war, The Hague had about 17,000 Jewish inhabitants, about 2,000 of them were left after the Liberation. 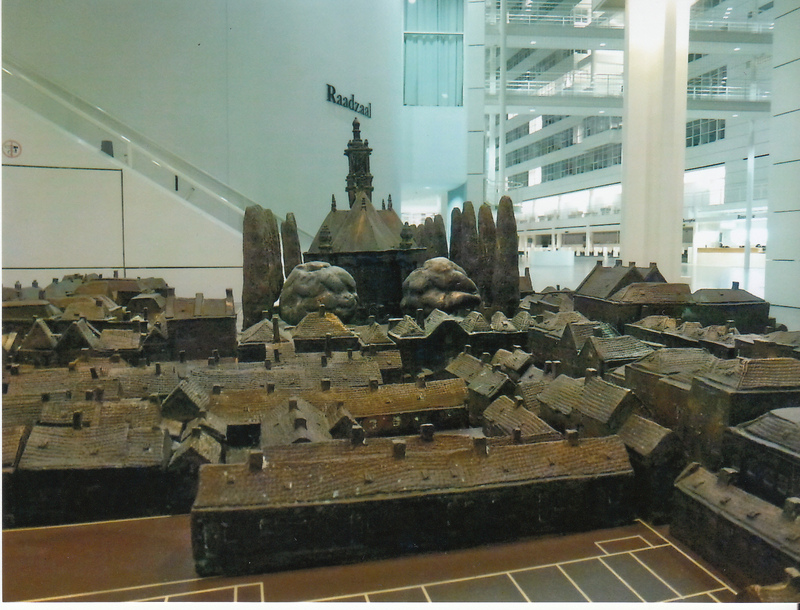 Not only the scale model, but also the monuments on the Rabbijn Maarsenplein, in the heart of what once was the Jewish neighbourhood, remind us of this history. Jacques de Leeuwe was one of the 2000 survivors and he worked with heart and soul for seven years on his creation of ‘De Buurt’. The result stands there for us, to watch and reflect on history.